I have received concerned emails from my loyal commenters regarding my recent home improvements. Over the past 48hrs I have been described as: Too big! Enormous; all over the place; frankly unreadable; and, deleted. Rest assured I am still here…. festering away… and I have now settled for the look and feel of a 1960’s shiny information brochure. Nobody else is moving in this direction, and it seems to suit, so for another year or so all housekeeping is complete. 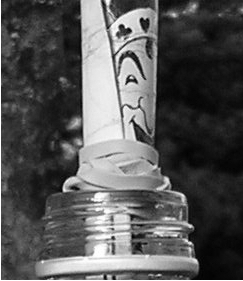 There may be some updates to the pages… some fresh pictures of calligraphy etc, but for now I am happy enough in my black and white 1960’s world. Moving swiftly on…. I promised pictures to piqué the interest of Mr Devine, so here is a little tease alluding to recent excursions…. A Visit to the Dark Side…. So… there you have it… I am now exhausted from all this faffing about… but I will return with some shiny calligraphy to fit with my shiny brochure theme…. NOW ENOUGH WITH THE COMPLAINTS!!!!! This entry was posted in Personal and tagged Boscastle, Housekeeping, The museum of witchcraft and magic, Wordpress themes on September 4, 2016 by Scarlet. I’m glad you kept the silver g – I like it very much! And the MWM – I have promised myself I’d visit when (if?) I get down your way again to see what all the fuss is about. Consider me piqued. Or should that be my interest? I love the new look! Very chic & user friendly! Love the use of silver–so beautiful, & I much prefer the shimmer of silver over the luster of gold. Silver makes me think of starlight & moonlight. The witch iconography looks fascinating & fun! Thanks for sharing these fantastic fotos! They’re all so intriguing & makes me curious to know more. And that last pic of the river & rocks look stunning! Very picturesque & serene with just the right hint of color only nature can provide & only a talented photographer can capture. And you’ve captured it brilliantly! You are very kind, Mr Swings! The museum was fascinating. Women had to be very careful about what they did and said for fear of being dunked or chained up. Cornwall is a notoriously mystic county. Noble … *sniff* smells of new furniture … no cormorant in sight. I am saving the cormorant, Mr Mags, it will make you laugh! I wish I had taken pictures inside the museum, Dinah, but it was on the dark side! Plus, I should have taken notes! Really it was about the persecution of women throughout the ages. Yes, I feel comfortable with this old theme. Good heavens, you have been busy – and all done and dusted in time for Poldak too. Jolly good show. My idiot brother says “What ho!”, by the way. Yes, I have been very busy! What with the pile of blog complaints to contend with and an emergency calligraphy session, I have had to do the multi-tasking thing…. which you know I am not keen on, so I am looking forward to relaxing with a scythe flailing Aidan Turner. My best wishes to cousin Batarde, I am hoping he is doing something interesting with the chilli blancmange recipe and hasn’t overdone it with the sherry this year. Oh, my word! This sound like me having my morning gurgle before breakfast. Is there supposed to be pictures as well as sound, Mr Lax? Maybe it is me gurgling before breakfast…? Is there a café at the MWM? Thankfully not, Mr Nikos…. but there are some very expensive tea and scone places nearby. Always cake, Ms Mistress!! Everywhere. At first i thought you had carved that enormous driveway stump into some form of useful garden furniature… Turns out you’d been taking in some local culture and history… bravo. 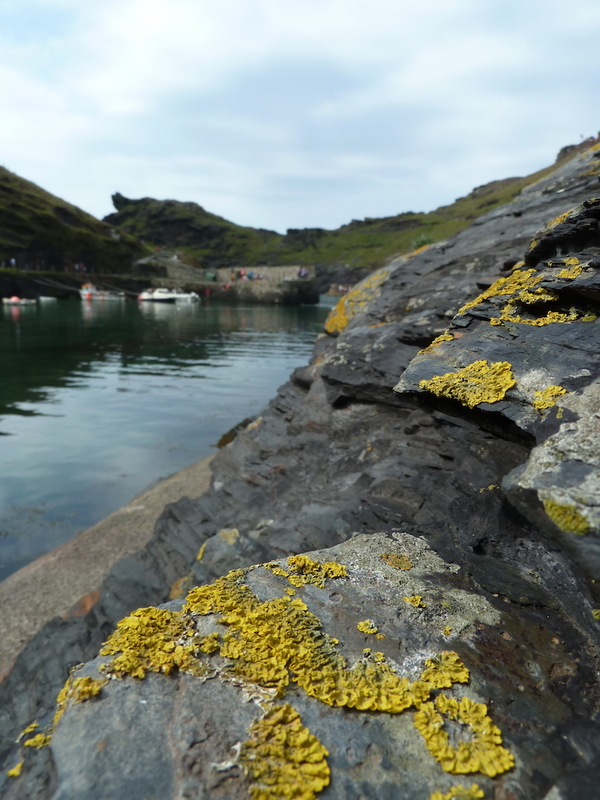 I’m liken your lichen by the way… Lovely photos ov your recent tour. I’ve noticed the older we bloggers become, the bigger the typeface we use. The depressing thing is that even with your bigger font I still need my reading glasses on to read it. Ha, ha, Joey!!! This is so true! Sometimes I increase the size of my fonts so much that all the pictures fall off the screen, or the sentences overlap. It’s to cry. I always go to great lengths to understand what my commenters are saying to me…. Nothing like writing a comment on a fresh new comment section. The new look is fine. If I act too excited I’ll be questioning myself why I don’t redo my old blog. Witches are interesting. I enjoy the history but think much of using the craft in modern times. I visited Salem MA. years ago. I even bought a witchy T-shirt. I wish I had bought a book about the museum whilst I was there, Bill, as the history of witchcraft and mythology does interest me greatly, especially how myths and customs came into being. I will have to see if I can find a book online. 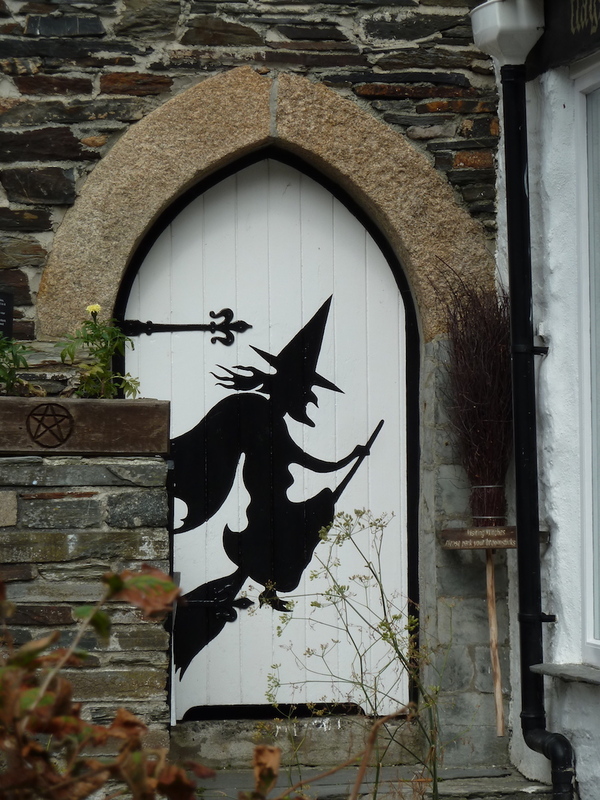 So the door with the witch painted on it is the ladies cloakroom? Nice, clean new digs. No, Mr Squirrels!!! This was not the entrance to the ladies loo, nice idea though. I saw MWM before the caption and instantly thought ‘Married White Male.’ Make of that what you will, Ms. Freud. Had to Google ‘faffing about.’ It’s an actual phrase. Okay…. I’m a chocoholic!!! There I said it. Actually, I think the first thing I noted was the style of the lettering! [off topic – sorry] (What? It’s the sincerest form of flattery!) I’ve just seen Aidan Turner with his shirt off bashing away at some rock! Yay! Poldark is back! I know…. down a tin mine… all sweaty…. and hot…. I hope you’re not dabbling in the black arts, Ms Scarlet. Once you’re sucked in, you’ll be casting all manner of nasty spells and all your friends will be dying of the plague. Stop before it’s too late! Put that broomstick back in the closet and don’t be tempted! I will try and stick with good magic, Nick…. and with the electrical broom – I’m a speed freak. Well, I like the new decor. All shiny and big font…and yes, I am wearing reading glasses regularly now. It’s this “getting on a bit” business. 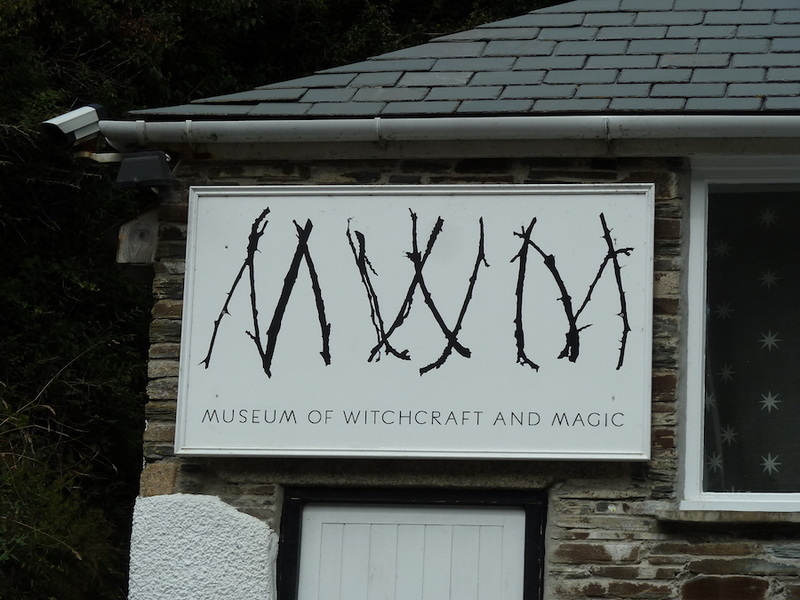 I’m fascinated by the witchy museum. I’ve put it on my list of things to see! Thank you, Ms Roses! I’m trying to keep it clean and simple and easy to read – seems to be working! Yes the museum was fascinating – so much crammed into a small space, and inventively presented. I wish I’d taken photos inside now. A change is as good as a rest, said Not A Musician. I like your new threads. So many contemporary blog themes now seem to have inordinately large type. I think they think nobody’s reading them on PCs any more. They are wrong, like so many people who are not me. Your new stylings are very elegant, however. Indeed, Mr Ducks! I wish I could be off on a seaside jaunt right now! 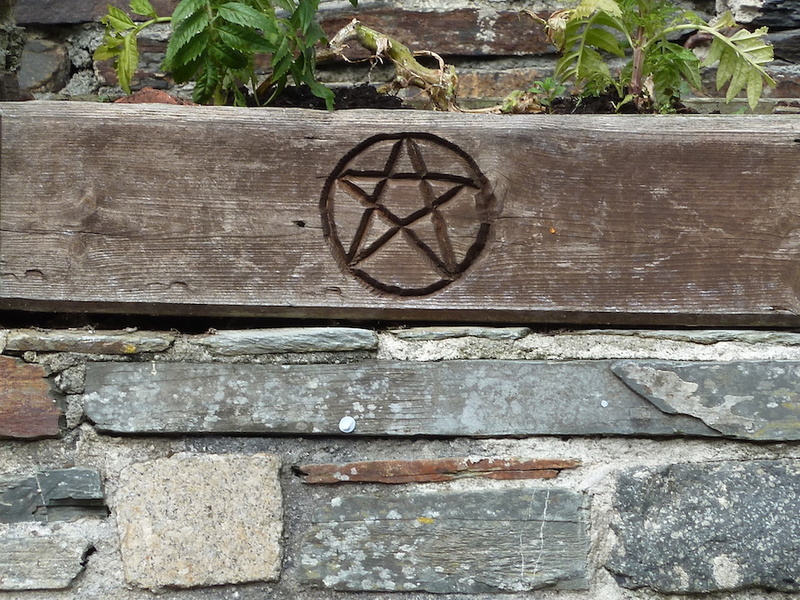 Lovely pentagram, were you just there for a short spell?